The Brothers Grimm have a warning for the Land of Stories. Conner Bailey thinks his fairy-tale adventures are behind him—until he discovers a mysterious clue left by the famous Brothers Grimm. With help from his classmate Bree and the outlandish Mother Goose, Conner sets off on a mission across Europe to crack a two-hundred-year-old code. Meanwhile, Alex Bailey is training to become the next Fairy Godmother… but her attempts at granting wishes never go as planned. Will she ever be truly ready to lead the Fairy Council? 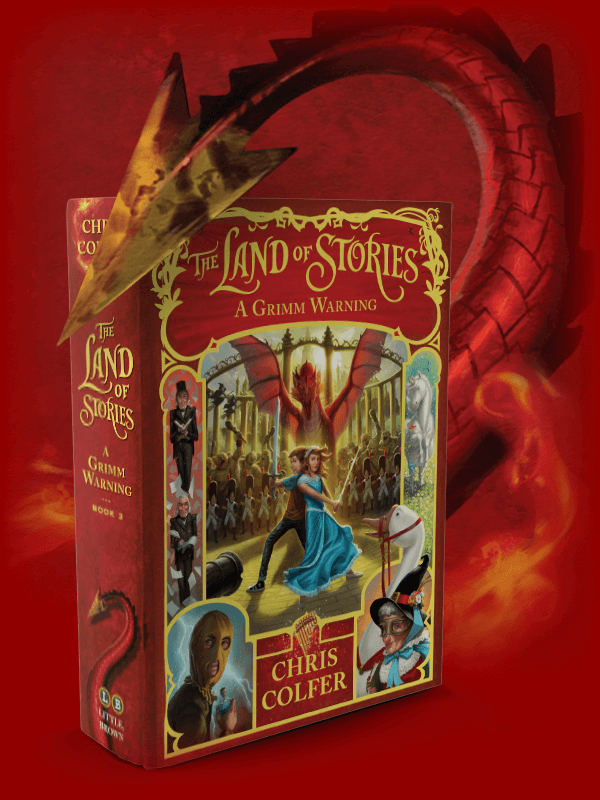 The third book in the bestselling Land of Stories series puts the twins to the test as they bring two worlds together!